Increase In Gun Ownership Or Over-Regulation Of Toys? According to recent articles in the Newcastle Herald and the Sydney Morning Herald, gun ownership in NSW has surged in recent years after the low levels seen following John Howard’s highly successful Gun Buy Back Scheme in 1996. However the statistics are broad and do not give the full picture in understanding the full gun ownership picture. That is the view of the Australasian Paintball Association (AUPBA) in response to the latest gun statistics released this week. Recent media reports have suggested an increase in NSW gun ownership may be linked to the influence of American culture in Australia. This anecdotal opinion is in stark contrast to the opinions of the Paintball industry. AUPBA spokesperson Luke Hemsley says that it is easy for a safe and family-friendly sport like Paintball to get swept into the gun control debate. Leading Operators are really pushing the boundaries with amazing theming and move-set quality scenarios. The public perception of Paintball has improved exponentially in recent years with industry leading operators really pushing the boundaries of their game zone theming and raising the profile of paintball as a sport. “The rest of the world classes Paintball markers as a toy and slowly the Australian people are demanding the same of our gun laws. It really is a step up from a water pistol rather than a step down from a gun, and the public realise that” said Hemsley. Recent changes in paintball legislation in Victoria and Tasmania reflect the public opinion. 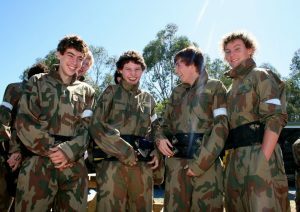 Earlier in 2015 Tasmania legalised the use of Paintball markers opening up Paintball to eager Tasmanians for the first time. 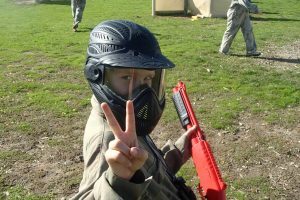 Victoria has also lowered the legal age to play Paintball from 18 years to 16 years and this change will come into effect on September 1, 2015.